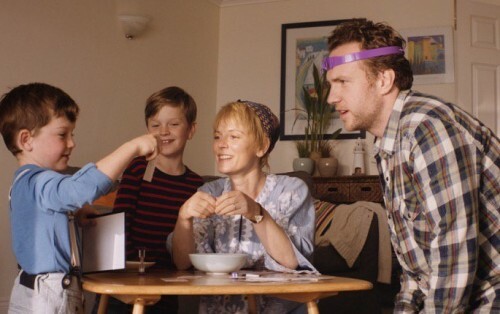 British drama Mum’s List has begun shooting with stars Rafe Spall and Emilia Fox. The film, written and directed by Niall Johnson, is based on the best-selling book by St John (Singe) Greene. It centres on Singe and Kate, a couple from North Somerset, whose lives were turned upside down when Kate was diagnosed with an incurable breast cancer. Over her last few days, she created a list: writing her thoughts and memories down, to help Singe create the best life possible for their two sons, after she was gone. Produced by Nick Hamson and Studio Soho Films, Mum’s List co-stars Elaine Cassidy and William and Matthew Stagg. Executive producers are Gareth Jones, who is coordinating UK and international sales for the film, Chris Wood, Niall Johnson and Sarah Weatherstone. Principal photography began on Oct 6 in Clevedon, North Somerset, with the shoot extending to Bristol and the Devon coast. In the UK, the book entered the Amazon charts at number 1, selling more than 100,000 copies in two months. It was released in the US and has been sold to fifteen territories including Germany, Korea, Portugal, Japan and China.